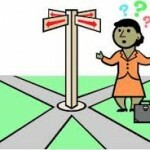 Psychotherapy, Counselling, Psychology – are they different? Psychotherapists, counsellors and psychologists all help with emotional difficulties, mental well-being concerns, or simply when life’s difficulties are just too troubling. Actually, there is a huge overlap between these three professions because they are all part of the Talking Therapies. Their differences are more in their purposes than in their professional boundaries. Counselling is more to do with listening, comforting and self-understanding. Psychotherapy is more to do with problem solving and finding ‘cures’. Psychology is the scientific study of the human mind. Generally speaking counselling is less intensive and deals with the lesser emotional problems. It is certainly true that many counsellors are not trained at a very high level although a few of do have advanced training and higher level qualifications and can do more. In some ways talking to a counsellor is a bit like talking to your best-ever friend but it is a lot more confidential and certainly a lot more constructive. Psychotherapy is more intensive and more comprehensive in its approach to its clients’ problems. Psychotherapists are trained to a high level, (Master’s degrees and beyond). They provide a wide range of solutions to a wide range of problems and they have a lot of different therapeutic tools to offer their clients. Good psychotherapists tailor their therapeutic approaches to meet their patients’ individual needs. Not all psychologists become therapists but those that do usually specialise as either clinical psychologists or as counselling psychologists. 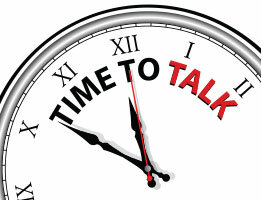 Another type of currently popular psychological, (talking), therapy is known as Cognitive Behavioural Therapy or CBT. CBT is targeted at helping people change the ways of thinking or behaving that causes them problems. In fact, CBT is just another branch of psychotherapy. Sometimes it is the best way to treat a patient and sometimes it is not – horses for courses. One very important service that all good counsellors and psychotherapists offer is total discretion. Clients rightly demand privacy. I see people mostly from Southampton, Totton, Romsey, and the general New Forest area, (Lyndhurst, Ashurst, Brockenhurst, Lymington, Ringwood). This includes all of the Waterside villages, (Hythe, Marchwood, Holbury, Blackfield, Fawley). None of my clients ever meet. However, some people feel that distance adds an extra level of privacy and so they travel to me from all over Hampshire and Dorset and even farther afield. It doesn’t matter where they come from – all my patients enjoy total confidentiality.